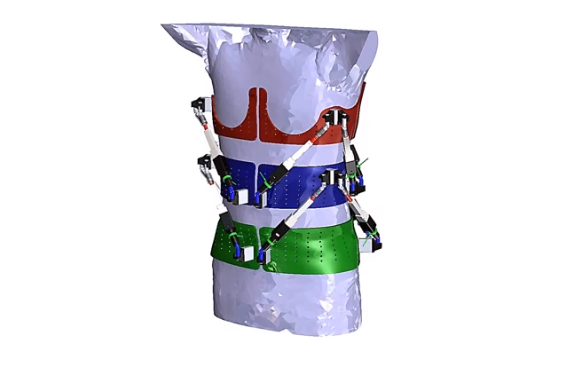 Researchers at Columbia University have developed a dynamic exoskeleton that measures the stiffness of the torso and could help treat spinal deformities such as scoliosis and kyphosis. Known as RoSE (Robotic Spine Exoskeleton), the device consists of three rings placed on the pelvis, mid-thoracic and upper-thoracic regions of the spine. Attached to the rings are 12 limbs that feature a combination of actuators, joints and sensors. Through forces applied by these limbs, the robotic brace can analyse the condition of the spine, providing data that could be used to deliver corrective treatment tailored specifically to the needs of each wearer. 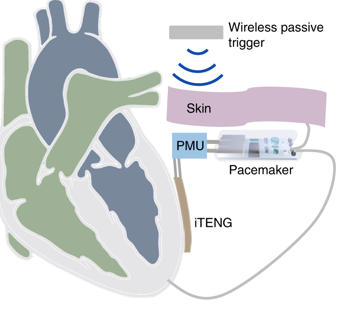 “The RoSE is the first device to measure and modulate the position or forces in all six degrees-of-freedom in specific regions of the torso,” said principal investigator Sunil Agrawal, professor of mechanical engineering at Columbia and professor of rehabilitation and regenerative medicine at the university’s Vagelos College of Physicians and Surgeons. According to the Columbia team, spinal brace technology has not fundamentally changed in the past 50 years, with devices often leading to skin breakdown and other discomfort for users. What’s more, the static nature of current braces makes it difficult to adjust their force during the course of treatment. Examining 10 male subjects, the researchers used RoSE to detect differing levels of torso stiffness in those with and without spinal conditions. While the device itself might not be used directly for corrective treatment, it could be used to develop curve-specific braces for individual patients, and could lead to braces that incorporate robotic manipulation of the spine. While this first study used a male brace designed for adults, the team has already designed an exoskeleton brace for girls, as idiopathic scoliosis is 10 times more common in teenage girls than boys.